[Satnews] SatService GmbH has introduced their new sat-nms LBRX L-Band Beacon Receiver series for up to eight satellite signals. SatService sat-nms LBRX L-Band Beacon Receiver. The unique feature of this unit is its 8:1 signal input switch that allows to connect up to 8 different signals that are selected automatically relating to the selected frequency and polarization. In addition to both polarizations of Low and High Ku-band, both polarizations of C- and /or X-band can be connected to the same unit. This gives full flexibility to track with one antenna satellites with beacons in different frequency bands. The typical application of this receiver is antenna tracking, where the receiver provides the tracking signal level to the antenna step-track controller. 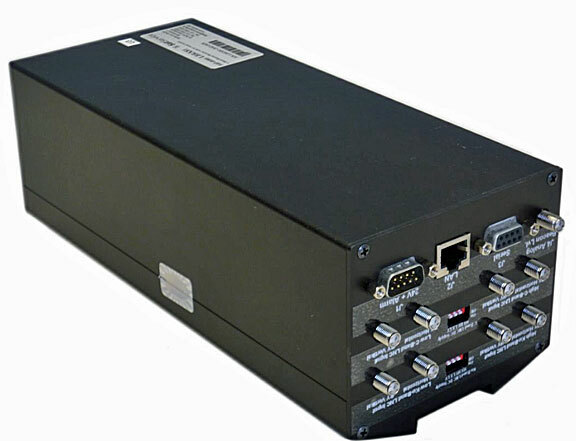 Other applications can be pilot measurement and control loops like up link power control. The sat-nms LBRX Beacon Receiver is available as DIN rail box or as 19 inch 1RU rack mount unit. Coming soon from SatService GmbH are Beacon Receivers with RF-inputs in C-, X-, Ku- and Ka-band.